Overview Features Why Choose Metrofone? Every September we wait eagerly to see what Apple will release this year, and as usual, they did not disappoint. Three handsets hit the shelves this time and with their usual go big or go home attitude the iPhone XS is a cracker. Apple followers everywhere have been waiting with bated breath, and this looks to be the handset of choice for most of the die-hard fans. September 2018 saw this handset, the iPhone XS, the iPhone XS Plus and the iPhone 9 come online and this is the phone that will be widely touted as the new flagship as this features all the latest technology and is rather lush. 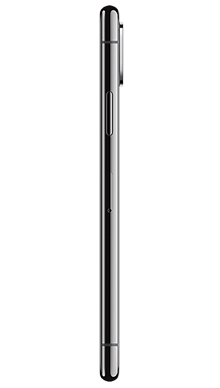 If ever there was a handset worthy of the flagship title then this is it. Being Apple, and being the newest iPhone it pretty much goes without saying that the price tag is not cheap, although that said it seems to be in line with the iPhone X which will now plummet in price. It already looks like the cost is not going to put off those who really love Apple so what is this phone all about and why is it so good? There was lots of speculation on the design of the new handset, and really it came as no surprise that the iPhone XS follows a similar design concept to its younger sibling the iPhone X. The infinity screen was well received, so Apple has chosen to stick with that, and once more we see a handset with no bezels just the notch at the top for the speaker. 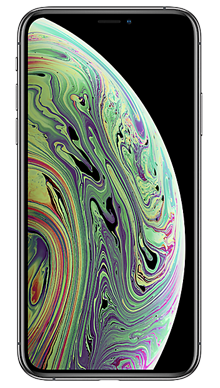 The iPhone XS also keeps the OLED screen which was first introduced 12 months before when the iPhone X was released, and this is known to be a more superior screen than some of their other models. As you have probably worked out the iPhone XS is the next incarnation of the iPhone X; therefore we also see the same 5.8-inch display and the removal of the home button which also takes away the fingerprint scanner forcing users to use FaceID or text input passwords. They decided not to follow Samsung and relocate it to the back, and it seems that Apple now considers this to be outdated technology. 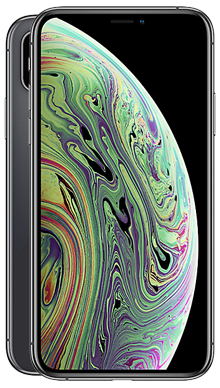 On the same level as their other newer phones, the iPhone XS features the mainly glass finish which is of course protected as much as possible with coatings and the fact that it is Gorilla Glass 6 which can take more of a knock that other glass. It is waterproof and can be dropped in water and still survive. There has been no movement in colour with Apple preferring to stick with their professional high-end colour schemes of silver, gold and space grey available to those in the UK. Apple apparently feels that these are the colours that complement their preferred image. Apple has always had a strong audio performance with their handsets, and the iPhone XS is no different. Of course, the removal of the headphone jack remains a thing and there is now no dongle included to help use wired headphones with the charging point. Clearly, the company wants to push users towards wireless technology, and you have the option of Bluetooth or Apple’s W1 wireless chip with which to do this. Not much has changed here, so if you are used to the cameras on the iPhone X, then this will not come as any surprise. Following suit, the iPhone XS handset has a dual lens arrangement that has only been seen before on the iPhone 8 Plus; both lenses are 12MP super retina display which is the new enhancement never seen before. 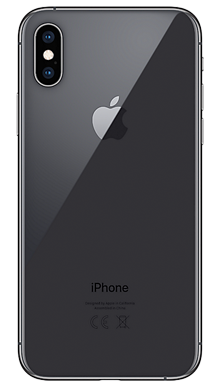 The iPhone X was the first handset to feature technology aimed at Plus size phones in a stand size handset. There is no change to the front-facing camera either, so overall quality is impressive. Under the lid, we see that Apple has upgraded the iPhone XS to an A12 Bionic processor and upgraded the Intel LTE chips. This should ensure that the phone does not get clogs but performs well and will enhance the USB-C to Lightning cable performance when it comes to wired charging. Screen resolution remains unchanged at 2436x1125 as this fits with the infinity edge to edge screen arraignments. This again was first seen on the iPhone X, and Apple was clearly happy with how it was received as they have chosen to stick with the infinity screen arrangement for all three new handsets. Obviously, there is a notch at the top of the screen as this is the front-facing camera and the FaceID location. Without a doubt, the iPhone XS is a high-end handset that is beautifully finished and packed with a massive amount of features. As mentioned it is not cheap, but there is still a great range of deals that mean Apple fans can own this new handset early on in its release. If you have your heart set on iOS technology, then you will be impressed with the improvements that Apple has made and be more than happy to have an iPhone XS in your hands. There was no shortage of volunteers here at Metrofone when we asked for someone to go and dig out the best deals possible for the iPhone XS, and we have to say they have done a great job, we have loads on offer. Here at Metrofone, we work exclusively with EE because we are convinced that this gives our customers the access they need to the best in connectivity and network service no matter where they may roam. Added to this, EE has also provided a stunning range of extra benefits to customers who choose one of their amazing deals, and these include access to Apple Music and BT Sport as well as international calling.